Keep your eyes peeled for the yellow diversion signs! 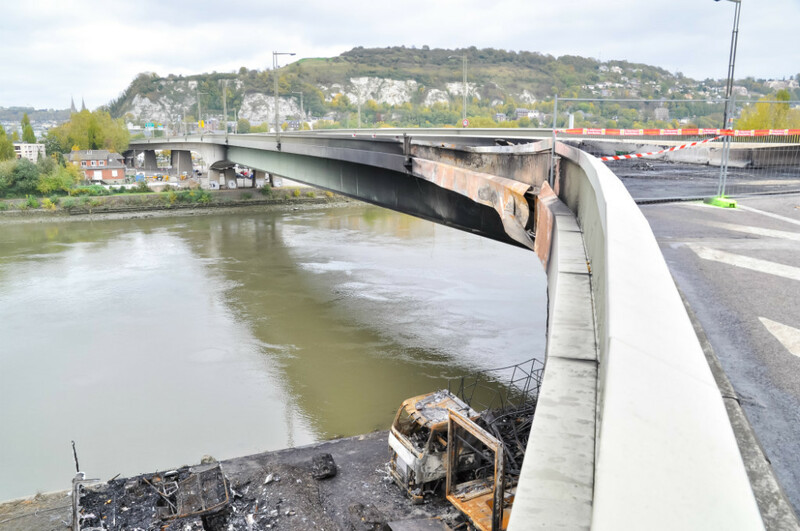 Your SatNav may not have been updated to include the Rouen bridge closure; it may try to divert you on another route than those indicated by the diversion signs. 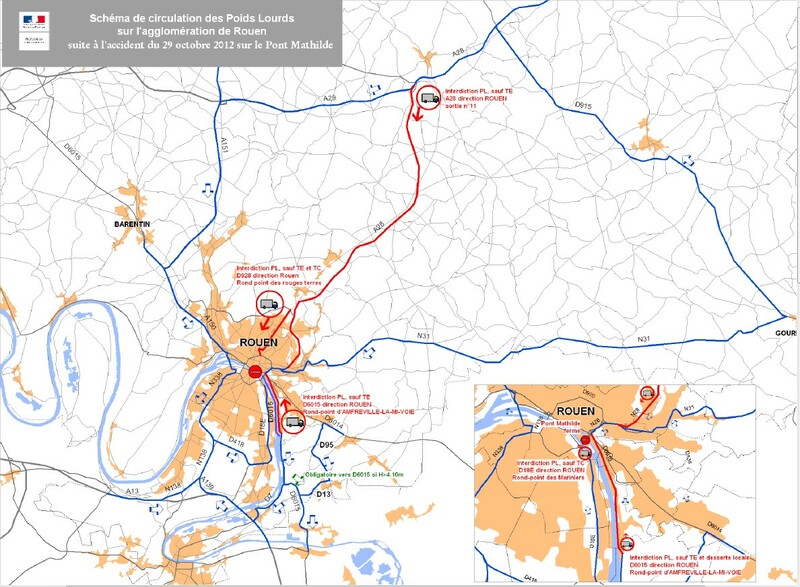 If that happens, ignore it and avoid the centre of Rouen at all costs otherwise you’ll end up going in circles around the one-way system due to the bridge closure! Thanks for the update, Tom & Naomi. When we last went north, the key thing was to look for signs to DIEPPE. I thought it was quite a pleasant drive, avoids the horrid ring road with all the traffic lights and doesn’t take much longer than the regular route.